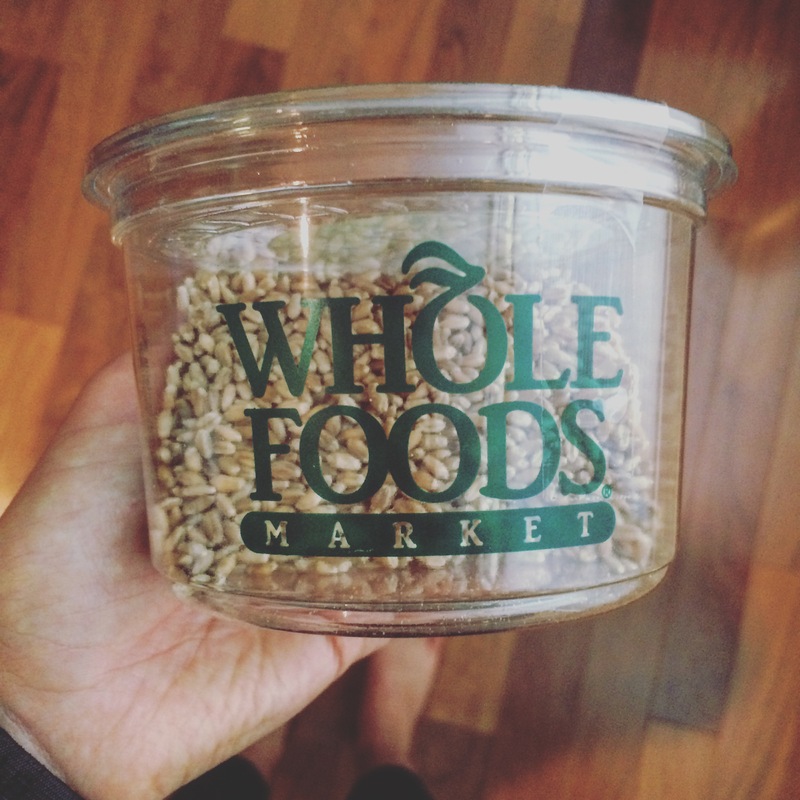 My boyfriend has recently fallen in love with wheatberries after trying them at the Whole Foods Market salad bar. Since he became hooked, I decided to buy a big container from the bulk section and begin experimenting with recipes for great salads and dinner side dishes. Wheat berries are whole, unprocessed wheat kernels in their most natural form. Wheat berries contain the bran, germ, and endosperm of the wheat kernel, which means you are getting the maximum nutritional benefits. Wheat berries are an amazing whole grain and healthy form of a carbohydrate. What are these nutritional benefits? High levels of magnesium and phosphorus which are essential for regulating blood pressure and supporting strong bones. Contain plant estrogens or phytoestrogens that combined with the minerals found in wheat berries (magnesium, selenium, copper, and manganese) help reduce your risk of developing certain types of cancers. This recipe I am sharing with you today is a perfect transition into fall. It is easy to make and incorporates many seasonal ingredients. 1. Cook the wheatberries by bringing 6 cups of water to a boil and letting the berries cook on medium for about 50 minutes. 2. In the meantime, prepare a baking sheet with tin foil and spray with olive oil. Place the squash on top and spray again – cook in the oven on 375. After about 20 minutes, pull out the baking dish and add the bag of kale. Place back in the oven for the remaining 10-15 minutes. Take the squash and kale out of the oven and let cool. 3. 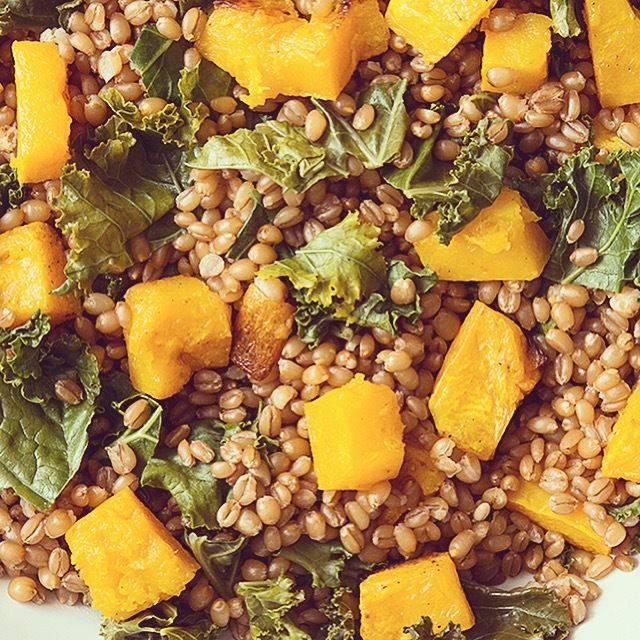 Once the wheatberries are finished cooking, add them to a large bowl – drizzle with olive oil and toss. 4. Add in the cubed squash, kale, figs, and nuts then mix thoroughly. 5. Serve as a side dish or on top of a green salad.